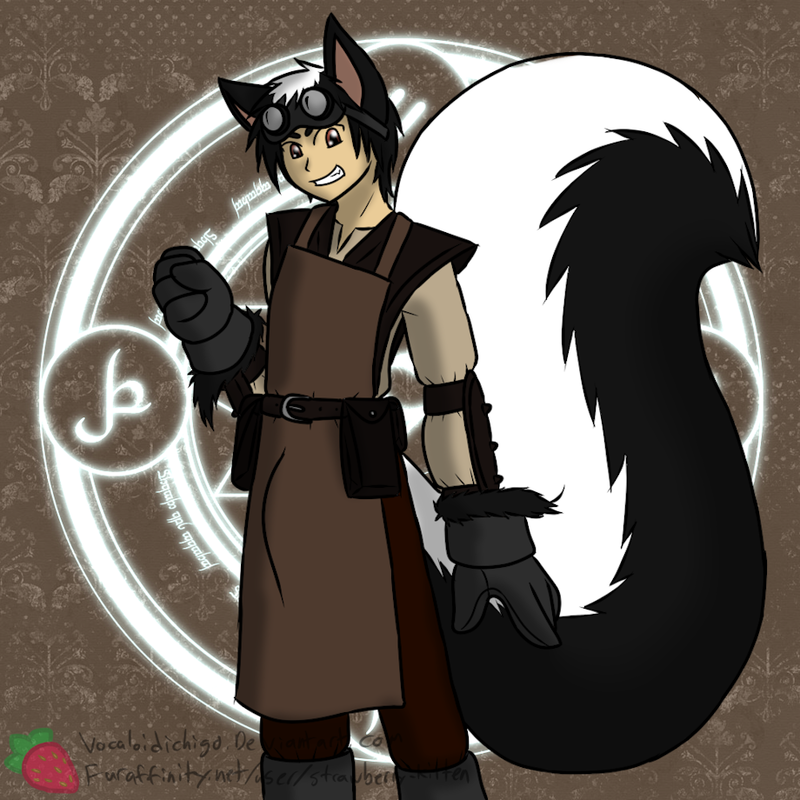 Another by Strawberry-Kitten on FA, which I bought at the same time as the Steampunky one. A more medieval smith-inspired outfit for Kyre. I don't know what that is in the background, it could be from something, or it could just be a copy-pasted Goetic circle or something, hard to say with it mostly obscured. Halfie's getting ready to make something, which could be nearupon to anything, as he quite enjoys his dabbling in the creation of magical objects.